Last week, we came across a report which said that Google was gearing up to launch a mobile payments app in India. Well, Google has just entered the mobile payments industry in India today with the launch of Google Tez. Google Tez is based on UPI (Unified Payments Interface) and can be used to send and receive money from anyone. Unlike other digital wallets like Paytm, which require users to add money to the app’s wallet to be able to make payments, Google Tez does the payment directly from a user’s bank account which eliminates the need to add money separately to the digital wallet. Google Tez supports banks like Axis Bank, HDFC Bank, ICICI Bank, SBI Bank and all other banks in India that support UPI. Moreover, as this app makes use of UPI, users are required to link their account to UPI to be able to send and receive money. Having said that, you can send or receive money from anyone who not only has the Tez App, but, has any other UPI supported app in his smartphone. This can be done by simply selecting them from your contacts list or by entering their UPI ID. 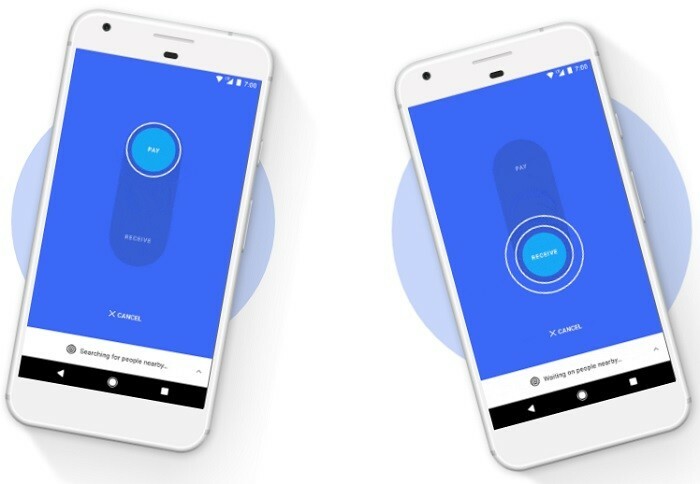 Google Tez also comes with a feature called Cash Mode which lets you send money to any nearby Tez user without having to share any private information like phone or bank account number. Well, believe it or not, but this is done using audio. 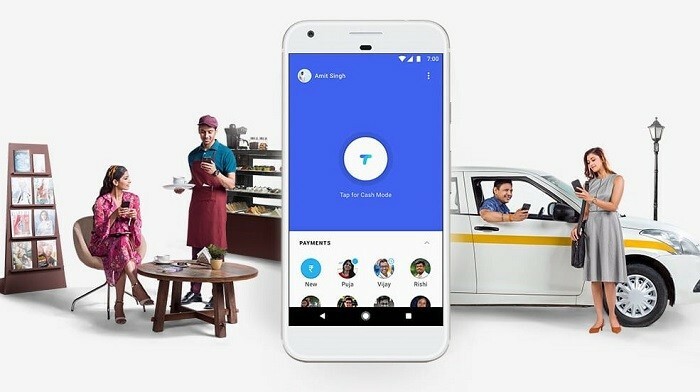 As Google Tez is specially launched for the Indian market, it supports Indian languages like Hindi, Bengali, Gujarati, Kannada, Marathi, Tamil and Telugu. Moreover, to be able to use Tez, a user “must be in India, have an Indian bank account and an Indian mobile number”. Also, when it comes to money, the first thing that comes to a person’s mind is security, hence, Google Tez comes with Tez Shield which works 24/7 to help detect fraud, prevent hacking, and verify user identity. Moreover, each transaction is secured with UPI PIN whereas the app itself is secured with a Google PIN or the screen lock such as a password or fingerprint authentication. Speaking of money transfer, the maximum amount you can transfer in a day is ₹1,00,000 with a maximum transactions of 20. Google has also partnered with RedBus, PVR Cinemas, Domino’s Pizza, Dish TV and Jet Airways in India. 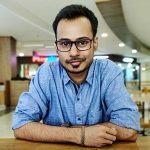 Besides, Tez users will also be rewarded by Google on a minimum transaction of ₹50 or more with a unique user. Under this reward system, Tez users stand a chance to win up to ₹1000 on each transaction and ₹1,00,000 every week. All these rewards will be added directly to your bank account. Google Tez is available for both Android and iOS users in India. You can download the app from the links given below.